Elegance was the primary aesthetic of Maria Grazia Chiuri and Pier Paolo Piccioli's creations for Valentino's Haute Couture show in Paris. Midnight blues and dusty pinks swept the runway with pierces of blood red, in chiffons and silks with the occasional embellishment. The dresses held their own with the scraped back hair of the statuesque models displaying minimal jewellery. 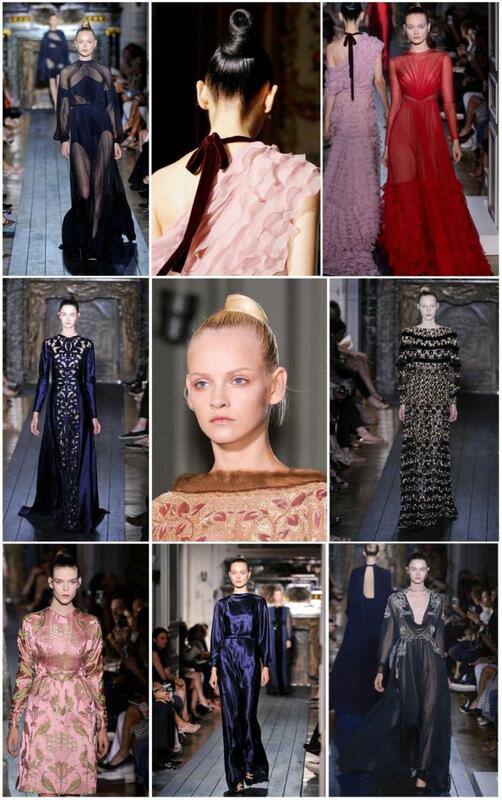 I am sure any girl would dream of a Valentino Couture dress!